Building Description: Charming Hotel, Conveniently located Is ideally located within the NSW Leagues' Club in the central business district of Sydney. 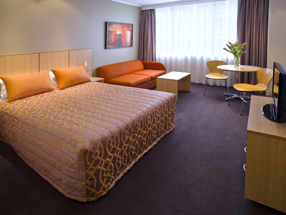 The hotel features 86 refurbished rooms and access to all NSW Leagues' Club facilities including restaurants, coffee shop, bar and health club (charges apply). The hotel is within walking distance of The Rocks, The Opera House, AMP Tower at Centrepoint and Sydney's world class restaurants and boutiques. Location: Nestled in heart of the CBD, you're within walking distance of The Opera House, The Rocks, The Botanical Gardens and an enormous variety of shops and restaurants. Experience the great sights and history of Sydney by visiting the nearby Museum of Sydney or escape to Sydney backyard, Hyde Park, to laze in the leafy surrounds. 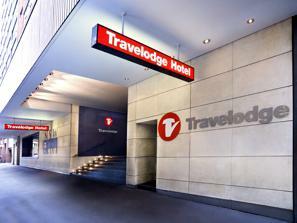 If you`re looking to live in Sydney for an extended period of time, we suggest you to stay at Travelodge Phillip Street for a comfortable stay. Move and Stay allows you to book easily a Sydney apartment, whether you`re looking for a serviced apartment, an aparthotel, or a residential apartment for rent. Many of our Sydney serviced apartments come with full accommodations, including a full kitchen and a lounge.